Welcome back Mustangs! 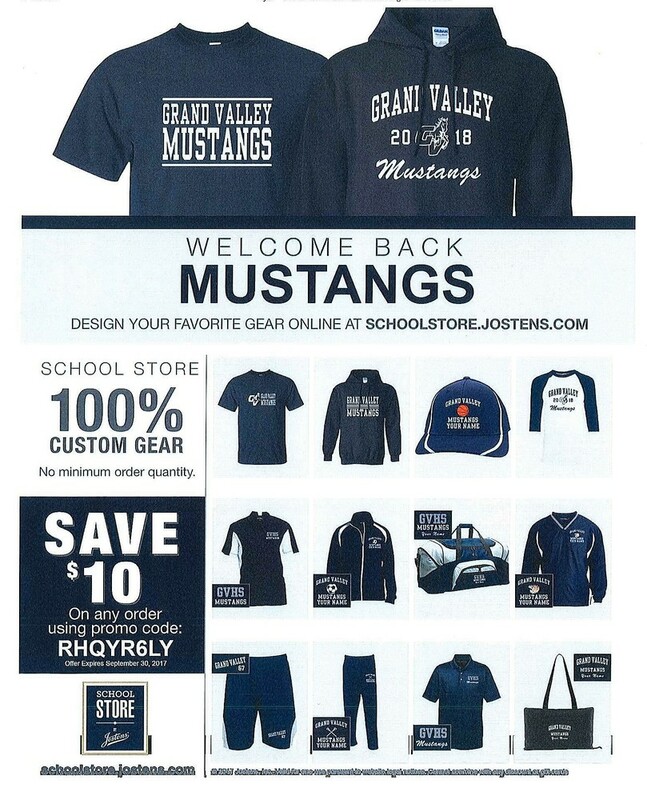 Attached is a flyer to save $10 on school apparel on the school store website. Grand Valley High School gets a % of the proceeds!